The Awwwards is the industry’s leading award platform, recognising only the best in web design and development. 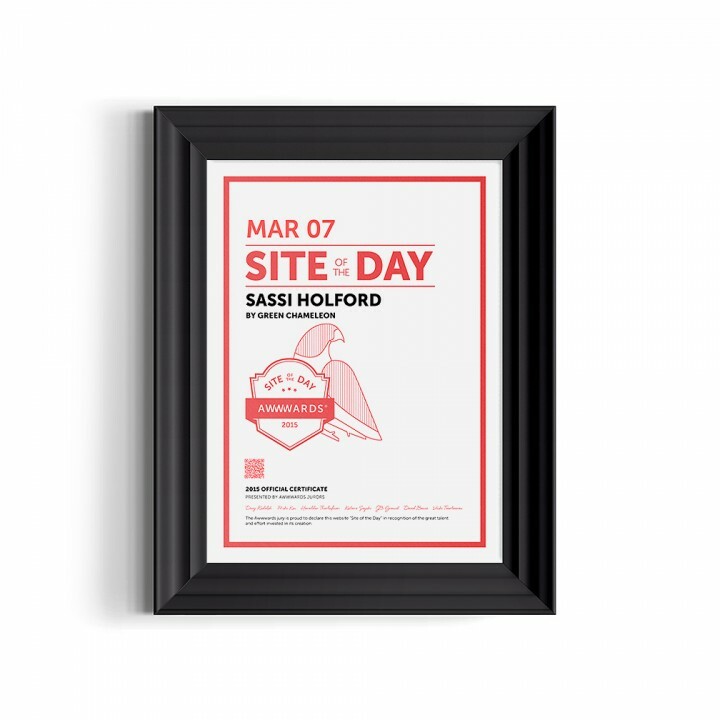 To get one of their coveted ‘Site of the Day’ features is something we’ve had our eyes on for a while now and it is with great pleasure we can announce that we have finally won it for our work on the Sassi Holford website! It is our belief that awards like this do not measure the success of a project and are by no means the focus when we design, the clients requirements and aims are at the forefront of our minds. That being said, industry recognition and awards like this generally come as a bi-product if those needs are met and it can’t hurt to have it in the back of your head to help keep motivation up and further drive that ambition to create something truly special. So without further ado, check out the certificate in all it’s glory below!